This very well could be the childhood home of Jesus. It doesn’t look inviting, but this rock-hewn courtyard house was quite likely Jesus’ home in Nazareth. The recent excavation by Ken Dark and the Nazareth Archaeological Project revealed evidence suggesting this is where Jesus was raised—or at the least the place venerated as such by the Byzantine period. Photo: Ken Dark. The excavation site located beneath the convent has been known since 1880, but it was never professionally excavated until the Nazareth Archaeological Project began its work in 2006. In “Has Jesus’ Nazareth House Been Found?” in the March/April 2015 issue of BAR, Ken Dark, the director of the Nazareth Archaeological Project, not only describes the remains of the home itself, but explores the evidence that suggests that this is the place where Jesus spent his formative years—or at least the place regarded in the Byzantine period as the childhood home of Jesus. The excavation revealed a first-century “courtyard house” that was partially hewn from naturally occurring rock and partially constructed with rock-built walls. Many of the home’s original features are still intact, including doors and windows. Also found at the site were tombs, a cistern and, later, a Byzantine church. The remains combined with the description found in the seventh-century pilgrim account De Locus Sanctis point to the courtyard house found beneath the convent as what may have been regarded as Jesus’ home in Nazareth. Archaeological and geographical evidence from the Church of the Annunciation, the International Marion Center and Mary’s Well come together to suggest that this location may be where Jesus transitioned from boy to man. Ken Dark also discusses the relationship between the childhood home of Jesus, Nazareth and the important site of Sepphoris. It has been thought that Sepphoris would have provided Joseph with work and Jesus many important cultural experiences. However, Ken Dark believes that Nazareth was a larger town than traditionally understood and was particularly Jewish in its identity—as opposed to the Roman-influenced Sepphoris. This is partially based on the result of his survey of the Nahal Zippori region that separates Sepphoris and Nazareth geographically. For more on the childhood home of Jesus, read the full article “Has Jesus’ Nazareth House Been Found?” by Ken Dark in the March/April 2015 issue of Biblical Archaeology Review. 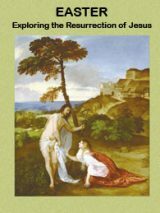 BAS Library Members: Read the full article “Has Jesus’ Nazareth House Been Found?” by Ken Dark in the March/April 2015 issue of Biblical Archaeology Review. Is it possible to identify the first-century man named Jesus behind the many stories and traditions about him that developed over 2,000 years in the Gospels and church teachings? Visit the Jesus/Historical Jesus study page to read free articles on Jesus in Bible History Daily. Steve Mason, “Where Was Jesus Born? : O Little Town of…Nazareth?” Bible Review, February 2000. Philip J. King, “Biblical Views: Jesus’ Birthplace and Jesus’ Home,” Biblical Archaeology Review, November/December 2014. Eric M. Meyers, “The Pools of Sepphoris: Ritual Baths or Bathtubs? Yes, They Are,” Biblical Archaeology Review, July/August 2000. Mark Chancey and Eric M. Meyers, “Spotlight on Sepphoris: How Jewish Was Sepphoris in Jesus’ Time?” Biblical Archaeology Review, July/August 2000. Zeev Weiss, “The Sepphoris Synagogue Mosaic,” Biblical Archaeology Review, September/October 2000. This Bible History Daily feature was originally published on March 2, 2015. It’s hard to find the home of a fictional character. What’s next, the home of Harry Potter? All of the Bible quoting proves nothing; the odds of this house belonging to a particular person are exceedingly small. As well as, since it was cut out of rock, a wealthy family owned it, and my impression is that this was not a wealthy family, or we wouldn’t have the Bethlehem story. If Joseph were rich, he wouldn’t have had any problem finding a room and midwife. As to Mary being a virgin all her life, that sounds to me like something the RCC came up with to make people believe in her eternal purity. But it would not have been normative for that day. People would have looked askance if she had no further children. For Ilan, Christina, Krystof….etc……a Jesus Slept Here sign would do no good. The name was too common for that era. Thus the need for “Jesus OF Nazareth” to distinguish Him from Jesus of Podunk…….But finding remains of dwelling sites, early church sites, olive presses. and other items from first-century A.D era suits as well. As for “every dive” having been named by Josephus, I think Ilan overstates a bit. The town of Nazareth was known up to Roman times when some resettlement occurred in the area…..and these other items — olive presses would be a sign of industry — show the area had settlement including the houses, the well site, etc…..As for “Jesus of Nazareth” — whether of or from, either way. And yes, Krystof, He was Galilean……. First the scholars word was that Nazareth, not having been mentioned by Josehpus and other historians of the period, despite every single town and dive in the Galilee being mentioned leads them to think that there was no Nazareth at the time Jesus was born. Now out of nowhere, this town, called Nazareth. Possibly another town renamed or a new town built later but given the name Nazareth. And with a Jesus Slept Here Sign as well. I found the article interesting. Nazareth was not likely to have been a huge city in Jesus’ era so it is remarkable that any dwelling place would have remained. Dark did, in his BAS article, cite some reasons for supposing this might have been the home Jesus grew up in. But if not, what of it? It is unlikely that the place he did grow up in looked any different. It does, however, give credence to the concept that Nazareth existed as a community in the early first century A.D., and this is a detail that some also do not like because they prefer “The Myth of Nazareth” as a way to make sense of their beliefs, or unbelief. The Bible says that Joseph did know Mary (as a wife) until after Yeshua was born. Mary was 100% human otherwise Yeshua is not the Messiah & we have to wait for another. Her name means sorrow fulfilling a prophesy. Yeshua said, “Who are my mother & my brothers? Anyone who believes in me!” Mary continued to live & work with the disciples & James (Yeshua’s own brother) became the first head of a church. Mary is not a deity. She was human. The Messianic equation is that he be 100% Human & 100% Deity. God the Father is already 100% deity. Yeshua came to teach the truth about Spiritual things. His life here was not meant to be worshipped. Though I have not read through all the lengthy posts here about whether or not Jesus had siblings, or if Jesus took over Joseph’s buisiness, etc., all the conjecture provided by these comments is unnecessary. 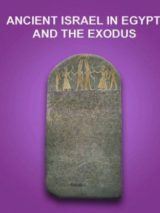 After all, this is the “Bibilical Archaeology ” review and the author, Ellen White, is summarizing an earlier hypothesis (note the question mark in the title) of another author about an archaeological find. I did not see anywhere in her article that she was emphatic about this being the true home of Jesus, nor do I see where she was promulgating any particular theological view about the find. This article is just the sort Biblical Archaeology should be printing. Leave it up to the individual to analyze the information presented and develop his/her understanding of it. Well, interesting if true. It was a small, most likely related, hamlet. Joseph, who was a “builder” as the proper translation of the term implies, would have found most of his work in nearby Sepphoris. However, it’s nearly impossible to say if this was Joseph’s hovel or his cousin Bob’s. Yeshua may have had half brothers (4) and sisters (2) from Yo-sef’s first marriage, according to the stories that he was a widowed man, and won Miriam’s hand as a protector/celibate mate as we might say, when she was of age to leave the Temple. Some stories say the stick he chose when all the unmarried Hebrew men were called to Temple, either blossomed, or a dove flew down and landed on his shoulder showing the priests that he was favored to care for her, and thus for Yeshua or Jesus in his childhood. There is a wood working shop near or attached to this house which must be why it is considered their home in Nazareth, however that is of course a guess. Homes were made of stone/mud brick, but perhaps Yo sef did some of the work making stools, beams in roofs, or window lattices. Roofs were straw over wooden beams imported from somewhere the trees were – maybe dragged by donkeys like the Ethiopians do today? But Nazareth was a small town of only 300 people, a few extended families, so much of the work would have been done in other towns where Romans lived too possibly. This small town would have been a safe place to live, farming was the mode of livelihood for most residents, around the city. Some stories say Yo sef was 111 when he died peacefully with his wife and family around him. He must have been a wonderful caretaker, to take Miriam in at an early age, even 7 or 8 possibly, before or as she was maturing – the oldest stories say she was 16 when Yeshua was born in a cave or a dwelling of some kind near Bethlehem. Augustus did call for “registration” of people possibly for a Roman world wide celebration during his lifetime, altho there is no recorded census for taxes that has been found. There was no room in the common place possibly in a synagog near Bethlehem, although there were no motels in those days, so a manger was offered by someone for the child to be placed in, a normal practice, like we used to use drawers in dressers put on a bed for babies when I was young, nothing fancy. A manger was a kind of basket sometimes used for feeding animals or carrying items like we do today. It is fun to imagine Miriam weaving or making thread on the roof of the home, keeping cool, going to get water in the early a.m. at the well, or even hiding her family below ground in the cellars if the Romans came by the town. No Romans lived here by any report, just Hebrews around 0 CE, a good safe place – water, fields and probably some wild birds and small animal, or goats to supplement the diet. The testing of bones shows the people ate low protein diets. I think Yo sef was not extremely poor but hid his family here (even his wealth) and probably helped the townspeople survive in his day. A synagog could be built or the meetings held in homes anywhere there were 12 men, women were respected highly and children, all could attend the torah readings I believe, and women maybe met together and spoke of God. No synagog has been found yet in Nazarath, but Magdala did have one that held 200 people (see internet). Perhaps people met in Yo sef’s house on the Sabbath, as they did in Peter’s home too (Simon and Andrew) North of the Sea of Galilee. These were wise men and women and part of a revival of purity in Galilee and Judea, taking holy names used in the Old Testament and wanting to raise their children well – teaching the Psalms and the Proverbs to the young by memory. When 12 Yesh ua went to the Temple for his bar mitzvah, and probably walked with many of his cousins and family members to Jerusalem, probably 4 or 5 days walk or more, don’t you think? Adele- Is there any possible way to know if Jesus sibling’s were of Mary as my Husband adamantly agrees.But on my Grandmother’s teaching to me from her Bible 1700 she read from.Her explanation to me was Joseph was in his 40’s Mary but 12-13,That Joseph had children already.Please clear this tormenting thought to me which is correct? I love reading all the bits and pieces that are discussed on this forum, but Jesus came for a special purpose, so don’t let us get sidetracked. This is incredibly backward technologically in that it is not possible to reply to a specific post. For the person who said this piece would go better on some sensationalist news site, it would go well on World Nut Daily. I am becoming discouraged as supposed academic and scientific sites are going all soft, fuzzy and infotainment. Could have been Jesus’s house. Could be an 8000 BC temple. Depends on your perspective. I keep on seeing the words “could have been…” , “may have been…”, “probably…” In the articles written concerning this dug up house. Some people have jumped the gun and are assuming that they said “definitely was Jesus’ house. Then there are some mathematical statements about outlandish “odds” which are astronomical to say the least. If as one commentator stated, that there were probably only 20 to 30 odd houses in the village at the time of Christ then that would make the odds about 20 or 30 to 1, which are a lot better odds at it being more probable than the astronomical odds of wining the mega lottery, whichever lottery they are talking about. Another thing to consider is that just because the “convent” was built a few hundred years later over a building, does not exclude traditional belief that this was in fact Jesus’ boyhood house. Tradition can be both truthful as well as fallacious. So one must not assume that time will necessarily make tradition to be wrong. Don’t you believe this is a bit presumptious stating that one of the many houses built in Nazareth for the residents of Nazareth which has Deen found 2,000 years later is in fact the childhood home of Jesus Christ. It could have been any resident of Nazareth who lived and grew up there. What makes it Jesus’s home ?? The church built over a home in Nazareth was built many years after Jesus’s death. There sure are a lot of Negative Nancys on here. The odds of this being Jesus’s house is exactly equal to the total number of houses in Nasareth. Only physical evidence can increase those odds but either way, it is still awesome to find remains of a home from when he actually lived there. You people should try the glass half full approach from time to time. Sepphoris was where the Synagogue was…As well as the temples of many other gods. It was Mary’s home, and they walked there on Shabbat. It is only 3.5 miles downhill, nothing. Joseph likely worked there, or made materials for both there and the farming region of Nazareth. Nazareth was 100 to 200 souls, or about 20 to 30 houses. The 10,000 souls? The Hellenistic city of Sepphoris. Sepphoris is the descended dove (Zipporah) upon the mount; it is the white shining limestone city on the hill over the Plain of Megiddo. For James to serve in the Temple as an alternate, Joseph had to be among the Kohanim. The cliff, by the synagogue ? It is the façade of the main streets Sepphoris. The cliff is carved into the cross streets of some Roman towns, where they leveled the streets by excavation, and carved shops into the rock face on either side. However, some today do not believe that Jesus’ brothers and sisters were children of Joseph and Mary. Why? “The Church,” says the New Catholic Encyclopedia, “from its earliest days taught that Mary was always a virgin. In view of this, then, there can be no doubt that Mary did not have any other children.” The same reference work claims that the words “brother” and “sister” can refer to “some one or ones united in a religious or other common bond” or to relatives, perhaps cousins. “The Brothers and Sisters of Jesus in Ecumenical Perspective,” by J. P. Meier, The Catholic Biblical Quarterly, January 1992, page 21. “The firstborn” has meaning “the onlyborn”. As simple as that. The way in which the Bible is written requires different kind of reading. “I pulled into Nazareth, was feelin’ about half past dead. I just needed some place, where I can lay my head. In order to support the idea that Mary remained a virgin all her life, some have applied different meanings to the term “brothers.” For example, some feel that Jesus’ brothers were actually sons of Joseph by an earlier marriage. However, the Bible shows that Jesus inherited the legal right to the kingship promised to David. (2 Samuel 7:12, 13; Luke 1:32) If Joseph had been father to sons older than Jesus, the eldest of these would have been Joseph’s legal heir. Could the expression refer to Jesus’ disciples, or spiritual brothers? This idea conflicts with the Scriptures, since the Bible says that at one point “his brothers were, in fact, not exercising faith in him.” (John 7:5) The Bible distinguishes Jesus’ brothers from his disciples.—John 2:12. According to another theory, Jesus’ brothers were actually his cousins. Yet, the Greek Scriptures use distinct words for “brother,” “relative,” and “cousin.” (Luke 21:16; Colossians 4:10) Many Bible scholars acknowledge that Jesus’ brothers and sisters were his actual siblings. For example, The Expositor’s Bible Commentary states: “The most natural way to understand ‘brothers’ . . . is that the term refers to sons of Mary and Joseph and thus to brothers of Jesus on his mother’s side.” See also The Gospel According to St. Mark, Second Edition, by Vincent Taylor, page 249, and A Marginal Jew—Rethinking the Historical Jesus, by John P. Meier, Volume 1, pages 331-332. Yes, Jesus had at least six siblings. These included his brothers James, Joseph, Simon, and Judas as well as at least two sisters. (Matthew 13:54-56; Mark 6:3) Those siblings were natural children of Jesus’ mother, Mary, and her husband, Joseph. (Matthew 1:25) The Bible calls Jesus “the firstborn” of Mary, which implies that she had other children.—Luke 2:7. From the article in the current issue of BAR this house was typical of what a house in Nazareth was like and that the culture there in the 1st century was distinctly Jewish, in contrast to Sepphoris with its Greco-Roman influence. On page 63 is a typical drinking utensil carved from limestone that was not considered susceptible to ritual impurity through exposure to a dead body (Numbers 19:15) and thus would not have to be destroyed; perhaps an indication of what the holy grail looked like (that the action-figure Indiana Jones was after). Finds from northern Israel in the 1st and 2nd centuries reveal that the Greek hero Heracles was venerated by the resident Romans, while the Jewish hero counterpart, Sampson, was venerated in the following centuries on Jewish synagogue mosaics. In a writing from the 2nd century Gnostic teacher Justin that was preserved by the orthodox Christian theologian Hippolytus in his “Refutation of All Heresies,” a convoluted mythological system involves God or “Elohim” sending the blessing or “Baruch” to the first parents, Adam and Eve, in order to redeem their souls, as well as the prophets, and “finally, Elohim chose a prophet from the uncircumcision, Heracles.” Having labored, however, Heracles succumbs to seduction and “thus the prophecy of Heracles and his works became ineffectual.” Finally, Elohim sends the blessing (Baruch) to Jesus in Nazareth and says to him, “All the prophets before you were seduced; but, Jesus, son of man, try not to be seduced but proclaim this message to men and tell them about the Father and about the Good and ascend to the Good and sit there with Elohim, the Father of us all” (“The Other Bible” by Willis Barnstone, p.640). This would be truly great news, but needs more proof. Still, it is wonderful that a house with original doors, windows and other details survives 2000 years. However, I do not quite understand Kurt’s comment regarding Jesus taking over Joseph’s business and providing “for the family, which included at least six children who were born after him.“ Born after Him?!? Certainly not by Virgin Mary. Matthew 13:55, 56 and Mark 6:3 do not mention children born AFTER Jesus, as there were none. The four boys and two girls were Joseph’s children, not Mary’s. Besides, Joseph was an old man and Mary was a very young girl married to him not in a sense of matrimony as we know it today. She could not reside at the Temple any longer and, as Jesus respected the laws and rules and observed the customs, He could not have been born out of the wedlock, He was circumcised, etc. Joseph and Mary did not consume their marriage, they married for a different purpose. So Thomas – are you saying BA should not publish any new find until it is completely vetted (preferably by you) ? I find it difficult to believe that the BAS publishes stuff like this, more suited to the 11:00 Eyewitless News Teams and brainless media eager for startling headlines, whatever the story. You know as well as I do that the odds this is really the site of Jesus’ boyhood home are about as high as the chances I will win the mega-lottery. I assume the full story has the evidence that firmly establishes the provenance, and I will read it, but it’s going to have to be much more substantial than I anticipate to be convincing. I particularly look forward to the chain of events from the time Jesus died as a criminal, unheralded in Nazareth, to someone making sure his boyhood home was preserved as a shrine, to the time many hundreds of years later when institutionally-based Christians took over and built edifices over it. All this is supposition. Their is no empirical proof that this was Jesus house or any Biblical persons house. Its more Byzantine relic seeking then anything else. Perhaps the BAS webmaster could be asked to delete that silly, and unnecessary, comment posted in your name! I am very upset that someone using my name has made such a bad comment. I respect and love archaeology and I am a believer with a Masters. This “MARK LAJOIE” would never say such a thing as this. And just down the road from Jesus’ childhood home are the brick house that was the last refuge of the three little pigs and the house of Red Ridinghood’s grandma. The house where Goldilocks met the three bears is thought to be somewhere in the vicinity. Perhaps the neighbours were used to Jesus ‘rattling on’ without particularly listening or taking any real notice. veryone’s different and there are plenty of people today who patiently accept and humour neighbours who are a little different to others. It could have been that Jesus’s neighbours were surprised when they suddenly started to take notice of him. How did Jesus’ former neighbors respond to his teaching, and what did they fail to recognize about him? The audience was stunned. The young man Jesus was standing before them in the synagogue and teaching. He was no stranger to them—he had grown up in their city,Nazareth and for years he had worked among them as a carpenter. Perhaps some of them lived in houses that Jesus had helped to build, or maybe they worked their land with plows and yokes that he had made with his own hands. * But how would they respond to the teaching of this former carpenter? Most of those listening were astounded, asking: “Where did this man get this wisdom?” But they also remarked: “This is the carpenter the son of Mary.” (Matthew 13:54-58; Mark 6:1-3) Sadly, Jesus’ onetime neighbors reasoned, ‘This carpenter is just a local man like us.’ Despite the wisdom in his words, they rejected him. Little did they know that the wisdom he shared was not his own. After figuring in an incident that occurred when Jesus was 12 years old, Joseph is absent from the Gospel record. Thereafter, Jesus’ mother and her other children appear but not Joseph. Jesus is once called “the son of Mary” with no reference to Joseph.—Mark 6:3.